Today’s mobile phones are not just phones; they feature internet, navigation, video chat and much more. But still the basic function of a phone is to talk and send text messages. A cell phone with many exquisite features is expensive, and in that case for a person on budget, refurbished mobile phones are the best option. A refurbished phone not only fits your budget, but it is also kind to environment by eliminating the incident of one more mobile phone thrown away to the landfill. Recycling cell phones and other electronic gadgets is now a popular way of doing something good to the Earth. However, you will need some guidance while buying a refurbished phone, because many times the task becomes daunting. Here are some tips. A refurbished mobile phone is one that is sent back to the manufacturer, if required – repaired – and returned to the factory settings. The reasons for its return may differ and can be related to the quality of service of the cell phone in future. Some organizations ask for donations of used mobile phones, offering the users an opportunity to send their old phone for recycling and get a new upgraded phone. These phones are donated after refurbishing or resold to finance a charity. 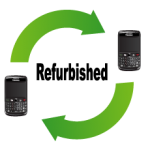 Several refurbished phones are used daily for 2-3 years and then donated or discarded to have an upgrade. In that case, they are usually sent back to the manufacturer or some other organization for wiping data, refurbishing and reselling. Mostly these phones contain a new battery to guarantee full battery life for the user. Though they are usually in good condition and may have sizeable life left, used phones are more likely to malfunction only because they are in service for longer. Many people who buy used phones enjoy the contentment of reducing their environmental footprint by using a used gadget or they may buy such a phone to support a charity. 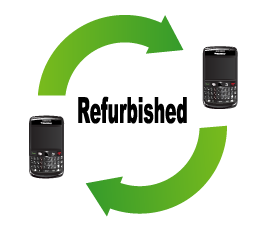 Service providers of mobile phones normally offer a 30-day return period during which the buyer can send their phone back for any reason. If you buy such a phone, it is called second-hand but it is in fact brand-new, as the previous user has returned it soon after buying just because s/he didn’t like its features or style. These are “opne-box phones” that are cleaned of all data and work just like new mobile phones. Such phones let the user enjoy the advantage of latest technology at a much discounted rate. Some mobile phones may encounter a malfunction or failure and therefore are returned. In such conditions, the carrier or manufacturer usually sends a new phone as a replacement to the user, keeping the previous phone till the problem is solved. After the repair and wiping of data, the phone is ready to be sold as a refurbished phone. Normally such phones experience only a little to no wear and are well tested to ensure that they are in excellent working condition. However, according to the seriousness of the problem for which it was returned, the phone has more chances to fail than a brand-new phone, or that specific model may have a problem in some area, e.g. the microphone may give interference or distortion in conversations or screen may be likely to break. While buying these types of phones, you should investigate and find out any repairs made to the phone so as to decide whether they are ready to take the risk of a recurring malfunction. What to Consider while Purchasing a Refurbished Mobile Phone? Many things should be considered while buying a refurbished phone like, phone’s looks and style, availability of warranty, and reputation of the company who did the refurbishment. Functionality – You should think about which functions in the phone are absolutely necessary for you – whether talk and text is all you want, or you want something extra? Some used phones are a few years old and lack the latest features. You should think whether such a phone can go with their lifestyle or your business and family need them to go with the latest technology. If you want to stay on the cutting edge for professional or personal reasons, an open-box mobile phone can provide you sufficient discount while you can still enjoy the coolest features on the market. Price and Warranty – Price is an important factor to consider and you should be comfortable with it. You should think upon whether the price you are paying is worth the refurbished status of the phone. A refurbished phone which is over-priced is not a good investment. You should also consider if it has a warranty. Open-box phones are more likely to have a warranty than repaired or pre-owned phones. However, the period of warranty may be less than the usual one-year warranty period on a brand-new phone. Looks and Style – Looks and style are also important factors to consider while buying a refurbished phone. Whether the phone flips open or has a slide-out keypad for texting, what is the size and weight, etc are points worth considering. Size, durability and weight should be checked while a younger user is to use the phone. Refurbishing Company – You should also check the refurbishing company. It can be a third-party, i.e. a company other than the manufacturer. In that case, there is more risk for you as the technicians at the manufacturer are well-acquainted with the structure and technology of the phone than that at a third-party company. So, if the refurbishment company is other than the manufacturer, you should check their rating and if their previous customers are satisfied with their work. The company’s reputation should be excellent and customer service should be high quality. You can check this on blogs, customer review sites and forums.